Our Tampa Office is Moving! 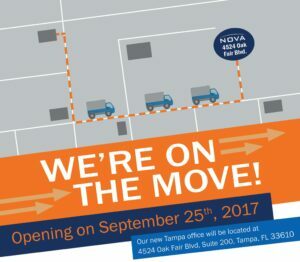 NOVA Tampa is relocating. Effective Monday, September 25th, our new Tampa address will be 4524 Oak Fair Boulevard, Suite 200, Tampa, FL 33610.